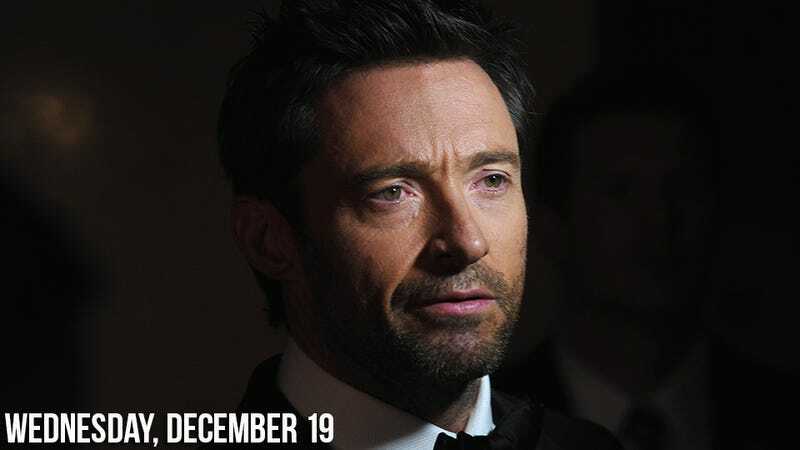 Hugh Jackman revealed to Katie Couric that he and his wife Deborra-Lee Furness went through some grueling emotional trials before adopting their son Oscar, 12, and daughter Ava, 7. "To be clear, Deb and I always wanted to adopt. So that was always in our plan. We didn't know where in the process that would happen but biologically obviously we tried and it was not happening for us and it is a difficult time. We did IVF and Deb had a couple of miscarriages. I'll never forget it the miscarriage thing — it happens to one in three pregnancies, but it's very very rarely talked about... It's almost secretive, so I hope Deb doesn't mind me bringing it up now. It's a good thing to talk about it. It's more common, and it is tough. There's a grieving that you have to go through." "I run into people, really powerful, big people, who say, 'Congrats to you, but your wife is really one of the most talented' and every time I hear that, it reminds me of the sacrifice she's made, her selflessness, her love and what she's done for the kids... We always made family a priority but I'm acutely aware, everyday, that actually, when it comes to sacrifices, Deb has shouldered most of those. In fact, I was telling her right now, 'You need to get back to work because you're just too good to waste that talent. Everyone needs to see it.'" 1. I guess it takes a village...?